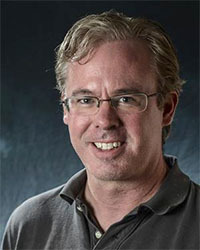 Steve Vanderheiden (Ph.D., University of Wisconsin-Madison) is Associate Professor of Political Science and Environmental Studies at the University of Colorado at Boulder, as well as Professorial Fellow at the Centre for Applied Philosophy and Public Ethics (CAPPE) in Australia. He joined the CU-Boulder faculty in 2007, and specializes in normative political theory and environmental politics, with a particular focus on global governance and climate change. In addition to numerous published articles and book chapters on topics ranging from Rousseau's environmental thought to the politics of SUVs, and edited books on political theory approaches to climate change, energy politics, and environmental rights, his Atmospheric Justice: A Political Theory of Climate Change (Oxford, 2008) won the 2009 Harold and Margaret Sprout award from the International Studies Association for the best book on international environmental politics. He is currenty completing a book entitled Doing Our Bit: Individual Responsibility for Climate Change, along with several other current projects described elsewhere on this site. From this page, you can link to his teaching resources page, his CV, a description of his current projects, his online research archive, and contact information. Vanderheiden, S., 2017. Anti-Immigrant Populism & Climate Change Denial. The Critique. Vanderheiden, S., 2016. Climate Change and Free Riding. Journal Of Moral Philosophy 11 (4) 1-27, doi: 10.1163/17455243-4681046. Vanderheiden, S., 2016. Climate Justice Beyond International Burden Sharing. Midwest Studies In Philosophy , doi: 10.1111/misp.12045. Vanderheiden, S., 2016. Territorial Rights and Carbon Sinks. Science and Engineering Ethics, doi: 10.1007/s11948-016-9840-8. Vanderheiden, S., 2016. Justice and Democracy in Climate Change Governance. Taiwan Human Rights Journal 6 3-26. Vanderheiden, S., 2016. Environmental and Climate Justice. Oxford Handbook of Environmental Political Theory, Ed. T. Gabrielson, C. Hall, J.M. Meyer, and D. Schlosberg, 321-332, Oxford University Press, isbn: 9780199685271, March 7. Vanderheiden, S., 2015. Environmental Justice: The Library of Essays on Justice. 472 pp., Ashgate, isbn: 978-1472439291, July. Vanderheiden, S., 2015. Informational Approaches to Climate Justice. The Ethics of Climate Governance, Ed. A. Maltais and C. McKinnon, 111-132, Rowman & Littlefield, isbn: 978-1783482153, September 3. Vanderheiden, S., 2015. Justice and Climate Finance: Differentiating Responsibility in the Green Climate Fund. The International Spectator 50 (1) 31-45, doi: 10.1080/03932729.2015.985523, January 2. Vanderheiden, S., 2015. The Obligation to Know: Information and the Burdens of Citizenship. Ethical Theory and Moral Practice 1-15, doi: 10.1007/s10677-015-9618-0, June 21.